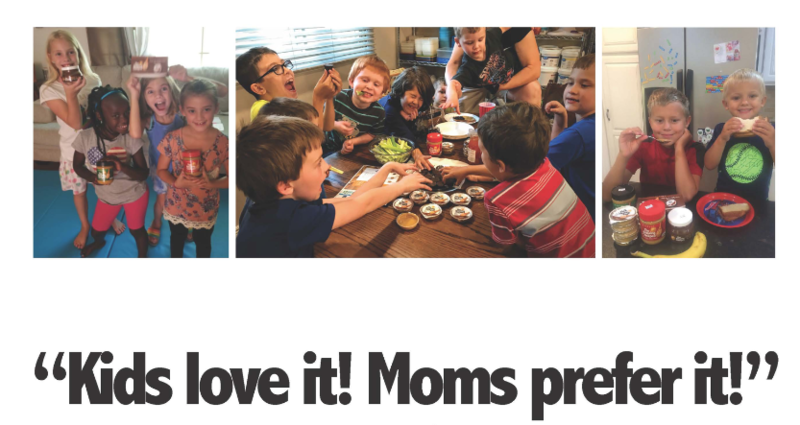 In September of 2018 we participated in an independent study with the widely respected organization, Moms Meet, to get a true picture of how The Amazing Chickpea spreads were being received by kids and moms alike. The results were wildly positive. Kids loved the rich peanut buttery taste. Moms loved the lower fats, high proteins and no issues of peanut sensitivity. 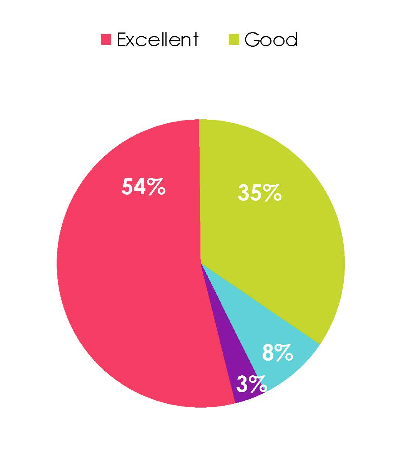 In fact 54% of moms rated The Amazing Chickpea spreads as “excellent” and another 35% as “good”. That’s almost a 90% approval rating! So when we say “Kids love it! Moms prefer it!” we’ve got proof. All findings are available on Moms Meet website, www.MomsMeet.com. The pie chart to the right shows the results collected when moms participating in the study were asked how they would rate The Amazing Chickpea Spreadable Chickpea Butter. 89% of moms rated The Amazing Chickpea as “Excellent” or “Good”! The chart to the left shows the results of our attribute ratings. Moms in the study were asked to tell us the extent to which they agree with/like The Amazing Chickpea Spreadable Chickpea Butter for each of the attributes included in the chart.